Was Princess Diana’s Death an Accident or Assassination? This country celebrated a rare solar eclipse on August 21st, 2017, and especially in a line moving midday from Oregon to South Carolina in what is known as the “path of totality” the sun is (for a few minutes at least) completely obscured by the moon. However, 20 years ago, a different bright and shining light was not only veiled in temporary shadow but completely snuffed out forever. I’m speaking, of course, of the Princess of Wales, Diana, who died in Paris on August 31st, 1997 after a horrific car crash. Unfortunately, after one French inquest and three more British inquests, there are still serious questions that remain in any serious researcher’s mind about what really happened that fateful night. And, when these questions aren’t satisfactorily answered by these “official” inquests and investigations and/or not made available to the public, then we turn to see whether there was in fact a conspiracy to kill Diana and start asking things like, “Who had the means, motive, and opportunity to assassinate Diana and why would she have been targeted?” I don’t presume to know all or even most of the answers, and (even if I did) this case is far too complex and large in scope to encapsulate it in a small article. To really understand the ins and outs takes years of study and research that would presumably be laid out in a book or series of books. This was done in a series of nine books by New Zealand researcher, John Morgan. But, we can at least ask a few questions that don’t add up and look at where they might lead should we follow up. Most mainstream media accounts, including all the TV specials running lately on Diana, would have us believe that Dodi al Fayed’s personal driver, Henri Paul, was drunk when he left the Ritz Carlton to go to Dodi’s apartment with Diana. However, this scenario is seriously flawed in my view. Why? First, take a look at the video of Henri Paul shortly before the entourage left the Ritz Hotel. He doesn’t look the least bit drunk. If his BAC (Blood Alcohol Content) was really as high as over three times the French legal limit the coroner said it was not to mention the very high level of carbon monoxide found in his blood, he would have had a hard time even walking upright let alone be able to drive a car. And, were he really that drunk, is it plausible to think that Dodi al Fayed, Diana, and Dodi’s bodyguard Trevor Rees-Jones, who was the only surviver in the car that night, would have all allowed Henri Paul to drive them that night? It simply makes no sense whatsoever, and gives Dodi’s father Mohamed al Fayed justification in questioning whether the blood that was tested by a British pathologist was really that of Henri Paul to begin with or whether it was switched out with someone else. Now, we know from the official story that once everyone had decided to leave out the back entrance to try to avoid the paparazzi camped out front to snap a picture of Diana and Dodi together, there were at least a few savvy photographers that saw through the ruse of parking the bait car in the front while exiting out the rear. It was supposedly these paparazzi that gave chase on motorcycle that were blamed for the high speed chase down the Place de Concorde and through the Pont d’Alma tunnel, which led to the Mercedes losing control near the entrance and plowing into the 13th pillar. This is where the story gets very dicey in terms of knowing exactly what happened right before the moment of impact precisely because there is evidence of a massive cover-up by the French police and later by the British investigators like Scotland Yard in order to make sure that the public never learns the truth. So, while we know that Henri Paul was taking a circuitous route back to his apartment rather than the quickest route (we’re told) in order to confuse and lose whatever paparazzi that might still be following them, we’ll never know how the Mercedes came to smash into the 13th pillar inside the Pont d’Alma tunnel given that all 17 CCTV security cameras leading towards the tunnel went suspiciously “off line” right before the crash occurred or so we’re told by French authorities. Needless to say, this seems so utterly beyond any coincidence as to make me conclude that the French were, at minimum, co-conspirators in Diana’s death. Also, after 2 years of a massive French inquest into the crash producing some 6,000 pages of the French Public Prosecutor’s investigation, nobody outside the top brass of the French police and Department of Justice are allowed to look at the report. Even the “Executive Summary” of the report fails to answer some basic questions and must therefore be seen in the same light as previous investigations we’re all familiar with in this country like the Warren Commission Report and the 9/11 Commission Report, which were both huge whitewashes. This begs the question, “What exactly are the French hiding?” Well, for one thing, Mohamed al Fayed was able to determine that the NSA had been monitoring Diana and is holding onto to more than 1,000 still classified documents about Princess Diana. However, the French Public Prosecutor made no attempt to discover what the NSA knew and when they knew it. And, nowhere in the 6,000 pages of the French investigation did they attempt to explain how Henri Paul (whose personal salary was £20,000) manage to have 1.2 million francs in 13 different bank accounts or where exactly the money had come from. This could be explained, however, had Henri Paul been working in part with French and British intelligence as some researchers have claimed. And finally, the French police also failed to question several witnesses that could have provided key testimony of those crucial few minutes right before the crash. Another tract of the investigation that ought to be taken into Diana’s death was a) Why would she have been targeted to be killed? and (if she was instead of it merely being an accident) b) Who are the likely culprits of such a high level hit? Answering the first question gets us a long way toward answering the second, in my humble estimation. While Diana’s marriage to Prince Charles in 1981 was billed as the “Wedding of the Century”, her separation from Charles 15 years later was, like most divorces, bitter, sad, and emotionally devastating for those involved. Royal insiders, however, will tell you that it was no secret that Prince Charles was never really in love with Diana but simply needed to get married and have children to fulfill what can be understood as a bloodline oath to the Crown. In other words, the British Monarchy sees it as part of your “royal duty” to father an heir to the Crown in order to continue the Windsor bloodline, which if you listen to David Icke isn’t even entirely human. And while it isn’t necessary to go there, you can’t help but wonder if there isn’t some truth to the Queen’s reptilian heritage in how she reacted to the sudden shocking death of Diana waiting a full five days before she even addressed the nation in her usual cold manner. It was left to then British Prime Minister, Tony Blair, to address the British people pouring their hearts out at Kensington Palace, while the Royals were sequestered in their summer palace ostensibly to protect the children. Yeah right! When Diana gave birth to Prince William (heir to the throne) and later Harry (who might not even be Charles’ son at all), she was no longer useful to the Royal Family as a breeder for the Windsor bloodline. But, when she officially separated from Prince Charles so that he could be with Camilla Parker-Bowles (whom he later did in fact marry), and she could date whomever she wanted to, I believe she was considered to be expendable at that point. The final straw very likely came when she began seriously seeing Dodi al Fayed, an Egyptian Muslim, and then gasp was very likely going to be engaged to marry Dodi, since there is evidence that he had bought her an engagement ring in Paris at a high-end jewelry store and was going to propose to her that weekend. Can you imagine how profoundly incensed the Royals would have been at the prospect of Diana, still beloved the world over and considered the “People’s Princess” a symbol of British Anglophile supremacy, married to an Arab, who would become the stepfather of the heir to the British throne?! 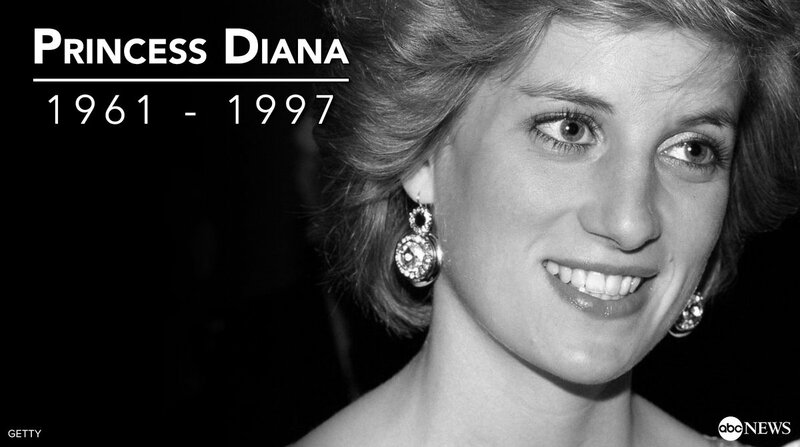 Let’s also not forget that Princess Diana was a powerful force for change in her own right and was instrumental in shining her light into some very dark corners of the world such as the Bosnian war, where she successfully lobbied for a global ban on land mines. According to one woman who worked as an MI-5 agent, she was even talking about taking on the plight of the Palestinians and their bid for statehood. Had she pushed for this, as she had the land mine issue before the U.N., I have no doubt that Israeli Mossad would have seen her as a national security threat and taken steps against her in a plot for her assassination. However, the evidence for this simply isn’t in yet for us to make a solid determination, but it’s interesting to consider nonetheless. Given the “knowns” of her relationship with Dodi, their likely upcoming nuptials, and her possible pregnancy or at least soon to be pregnancy with Arab Dodi al Fayed’s child, I surmise that those most likely tasked with carrying out the hit on Diana, making it look like an accident, and subsequently covering it up with the help of the French would have been British MI-6 working alongside a hit team of British SAS. And, the order would have come from either Prince Philip or Queen Elizabeth II, either of which could have reasonably given it once Diana had run afoul of Royal favor. In fact, there is now a former MI-5 man, David Shayler, who has come out and said as much on global television. There’s even been speculation as to how it was done. Leaving out the question of just who Henri Paul and bodyguard Trevor Rees-Jones were really working for within the alphabet soup of intelligence agencies that is bad enough, a man with MI-6 or SAS on a motorcycle or in a car could have drove up to either the passenger or driver’s side window and flashed an intensely bright light into the eyes of Henri Paul as a way of temporarily blinding him just long enough for him to miss a sharp turn at Pont d’Alma tunnel entrance. We do know that in addition to this scenario described by a former MI-6 man…the Mercedes was definitely hit by a white Fiat Uno prior to hitting the pillar inside the tunnel, which was later found by detectives working for Mohamed al Fayed and therefore was very likely a part of the actual hit squad itself. The Fiat Uno was traced to a photographer by the name of James Anderson, who was known to have worked for MI-6. He was also known to have been in Paris the day of the crash and flew out the following day to Cosica. Unfortunately, we’ll never know the extent of his involvement as two years after the crash James Anderson was found dead with two gunshot wounds ruled a suicide by the police. We’re also told in “official accounts” that when the ambulance arrived Diana was still alive in the Mercedes. The driver Henri Paul was dead, Dodi was dead, Trevor Rees-Jones was alive and survived the crash, and Princess Diana was still alive and breathing. But, we are also told that the ambulance stayed inside the tunnel for well over an hour (a full 81 minutes). When it finally left with Diana (having supposedly been worked on life support by EMS in their vehicle for over an hour) it took the ambulance about 30 more minutes just to reach the hospital driving at 12 MPH that was only a few minutes away. Shortly thereafter, she was pronounced dead. My only question is- “Why in the hell did it take them so goddamn long to get to the hospital?” Apologists for the accident theory claim that the French have a completely different way of treating patients in that they prefer to treat someone at the scene of the accident rather than rush them to the hospital. Again, even by French standards, this makes no logical sense. Any EMS personnel will tell you that when seconds can make the difference between someone living and dying, a person suffering from severe trauma and blood loss from a car crash has to get to the emergency room of a hospital as quickly as possible, since you can’t perform extensive surgery in an ambulance. So, a defibrillator can get your heart started, and the EMS people can get you on some oxygen and an I.V. to help get you breathing and hydrated. But, they’re usually just trying to stabilize you long enough so that you don’t go into shock and die of blood loss. The anesthesiologist administration of pain killers, stitches, surgery to remove any foreign objects, and blood transfusions that have to be given to replace the pints you lost in a crash of this magnitude are done inside a hospital and not in the back of an ambulance. So, this notion that it’s done completely different in France than it’s done in the US from an emergency situation just doesn’t add up with me. It looked to me like it was being stalled intentionally, until she eventually died of blood loss. The real question given what we know about how it was stalled is- “Who gave the order to stall the ambulance reaching the hospital, and who does that person work for?” Answer that question, and you’ve practically solved the murder mystery. Perhaps, though, we can answer a different question that leads us into the cover-up a key postmortem autopsy. Tellingly, Princess Diana’s body was embalmed and no autopsy was ever performed. However, if we can show that the autopsy results of the high levels of carbon monoxide, anti-depressants, and alcohol in the blood of the driver, Henri Paul, was essentially falsified and manufactured so as to make it appear that he was completely incompetent to drive that night- then finding out who the coroner worked for would also lead us towards the culprits in the crime. And, wouldn’t you know it, all fingers point back to Buckingham Palace, when we learn that the man responsible was Dr. John Burton, who was the Royal Coroner. His role, along with the examining pathologist, in this case are key in the ensuing cover-up of Diana’s death. Furthermore, and even more damning, he called the inquests into Dodi and Diana’s deaths a “waste of time and public money.” He was later replaced by Mr. Michael Burgess. Make no mistake about it, it is the British Aristocracy and the price of upholding their obscene opulent elitism that is the true waste of time and money. But, for a brief while, Diana’s story was one of living out the fairy tale of practically every little girl only to have reality come crashing in, in this case quite literally some 20 years ago. She was indeed loved precisely because of her compassionate humanity and ability to relate to the everyday suffering of regular people the world over. And, although her memory has not been well served by the elite powers of evil that prevent the true cause of her death from being widely known, the legacy of her inspirational life will continue to enrich those for whom she touched over her brief years on the planet. What Really Happened in the Las Vegas Shooting? The Katrina Conspiracy: What Really Happened 10 Years Ago in New Orleans? Is Donald Trump a Target for Political Assassination?